Eighty-five percent of pastors in the survey say they have heard of the #MeToo movement. Fewer pastors (16 percent) have heard of the #ChurchToo movement, which focused specifically on sexual harassment and abuse in the church. Eighty-four percent have not heard of #ChurchToo. Three-quarters of pastors (76 percent) say they know someone who has been sexually harassed. Mainline pastors (82 percent) are more likely to say they know someone who has been harassed than evangelical pastors (71 percent). Twelve percent of Protestant pastors say someone on church staff has sexually harassed a congregation member at some point in the church’s life. Eighty-five percent say no staff member has been found to have done so. Three percent don’t know. Pentecostal (94 percent) and Baptist (89 percent) pastors are more likely to say there has been no harassment found. 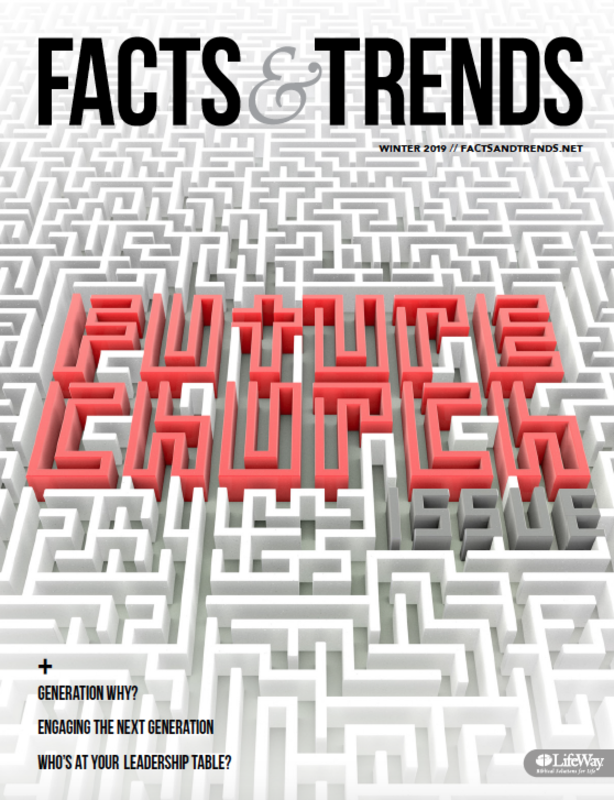 Christian/Church of Christ (79 percent) and Presbyterian/Reformed (79 percent) pastors are less likely. Sixteen percent say a staff member has experienced sexual harassment in a church setting. Eighty-two percent say that has not happened. Two percent don’t know. Mainline pastors (22 percent) are more likely to say a staff member has been harassed than evangelical pastors (11 percent). Forty-one percent of Protestant senior pastors who have heard of #MeToo say they are more inclined to preach about sexual and domestic violence in response to the movement. Forty-eight percent say they are inclined to speak about the issues about the same amount as they had in the past. Twelve percent say they are less inclined to speak as a result of #MeToo. “If we believe we are all created in the image of God, we cannot tolerate that only half of pastors feel prepared to respond to domestic and sexual violence situations.”Methodist (57 percent) and Presbyterian/Reformed (52 percent) pastors are more likely to say they will preach more about sexual and domestic violence. Fewer Lutheran (37 percent), Church of Christ/Christian (36 percent), Baptist (30 percent) and Pentecostal (24 percent) pastors say they are now more inclined to preach on those topics. A third of pastors (32 percent) who have heard of #MeToo say their congregation is more confused about sexual and domestic violence. Sixty-two percent say their congregation has more empathy for victims. 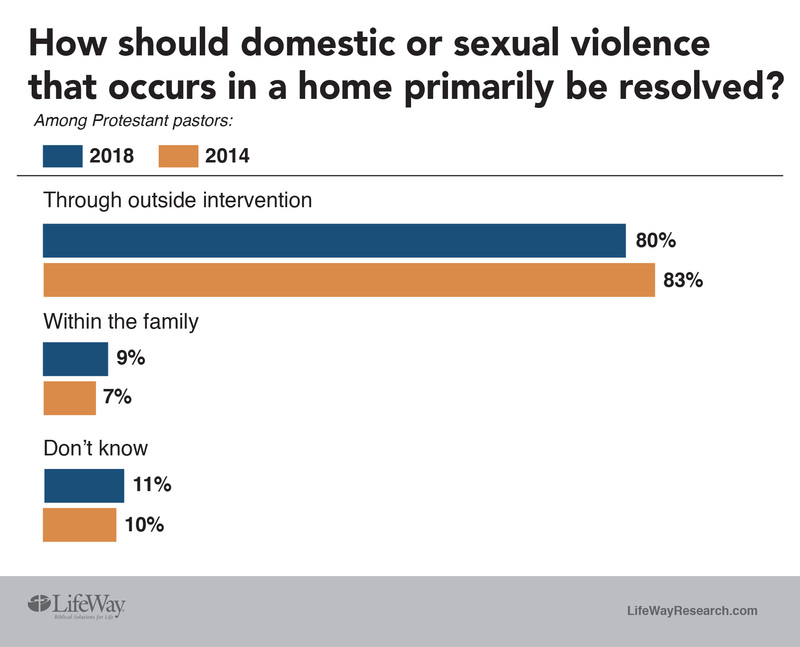 Fifty-eight percent say their congregation is more aware of how common sexual and domestic violence is. A few (14 percent) say their congregation has become callous toward the issue. “If we believe that how we treat the most vulnerable is how we treat Christ, we must be in deep solidarity with the women and men who experience domestic or sexual abuse at some point in their lives,” Wallis said. Three-quarters (77 percent) say they speak about domestic violence at least once a year. That includes 26 percent who speak about it once a year and 51 percent who speak about it more than once a year. Many pastors (75 percent) who address sexual or domestic violence at least once a year or more say they do so because they have seen the impact of such violence firsthand. Eighty-seven percent say sexual or domestic violence is an issue in their community. Ninety-six percent know of resources to help victims. Only 1 in 5 (18 percent) say they address domestic or sexual violence because it is an issue in their congregation. Almost half (46 percent) speak about it because they have been trained in domestic violence issues. Almost half (46 percent) of pastors who don’t address sexual or domestic violence say it is not an issue in their congregation. Twenty-nine percent say other topics are more important. Nineteen percent say they don’t know the issue well enough. Nineteen percent also say it is not an issue in their community. Sixteen percent say it is not appropriate to address domestic or sexual violence publicly. “We know caring faith communities respond to need. But in responding to abuse and harassment, we have much work left to do.”When responding to a case of domestic or sexual violence, 81 percent of pastors say they have provided a referral to an agency that assists victims. Seventy percent have provided marriage or couple’s counseling. Forty-six percent provided counseling for the abuser. Forty percent did a safety risk assessment for the victim. Only about half (55 percent) of pastors say they are familiar or very familiar with domestic violence resources in their community. And half say they don’t have sufficient training to address sexual or domestic abuse. “We know caring faith communities respond to need. But in responding to abuse and harassment, we have much work left to do,” said Rick Santos, president and CEO of IMA World Health. BOB SMIETANA(@BobSmietana) is the former senior writer for Facts & Trends. Previous Post: « How Can I Live a Diverse Life?